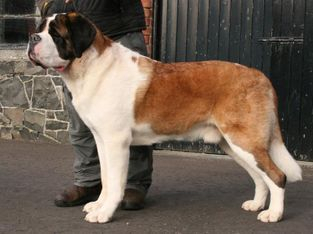 Dango came to us from Belgium and he has had a very successful show career being the top winning St Bernard in Ireland in 2008 and Top winning Long coat in 2009, He has gained many green stars and has been shortlisted many times in group 2. He has been the foundation of are breeding programme producing many fantastic pups for us and has so far produced three champions including a Great British Champion. He has a very special place in my heart. 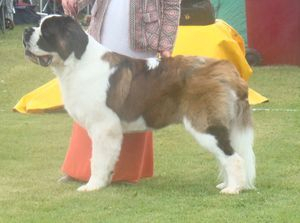 Stevie is an extremely big dog in bone, size/height and head, He has a very sound temperment with a great character and has so far gained 6 green stars which leaves him waiting for one more for his title. He has also gained his first International CACIB. Stevie has been shortlisted several times in the group. 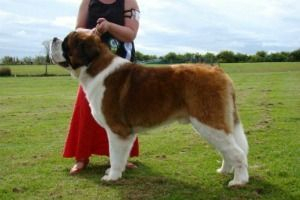 He is proudly owned and handled by his owner George Graham. George is a great big dog, very quiet and reserved he has been shown lightly so far and has had a great start in the show ring gaining his Irish Junior Title and also Reserve Green Star from Junior Class. He is owned and Loved by Steven Morrision. Taz is an extremely energetic boy but very soft and loves lots of attention. We hope Taz will have a successful show career in the future. Taz is growing from strength to strength with his show career he has been very successful gaining his Irish Champion Title, Irish Junior Champion Title and also gaining Celtic Junior Winner 2013 Title......He has currently got 9 Green Stars out of the seven needed towards his Irish Tilte has several Best of Breeds and been shortlisted in Group 2. Taz has gone on to follow in his Mothers and Uncles footsteps by becoming and Annual Champion for 2013 at such a tender age this is exceptional. We hope he will continue his success into 2014. Bjorn is a special boy for us not only does he have a fantastic pedigree but has produced us some beautiful offspring and has a wonderful personality with a head so beautiful and impressive. Thank You Britt and Bjarte for this wonderful boy. Gulliver has traveled here from Norway in Early Summer 2013 and has been shown lightly so far but has in his first 6 shows gained his Irish Junior Champion Title and several Res Green Stars and a RBOB. He is showing lots of promise for a young boy and will continue his show career into 2014. Bailey is a very soft easy going fella with alot of love to give he loves nothing more than to rub up against you and sit on your feet. 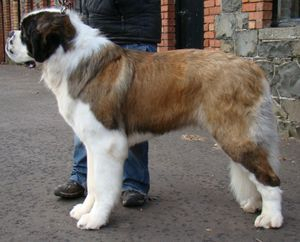 Bailey has been shown very lightly and yet has still managed to gain 3 green stars and 1 BOB and Cacib. We hope to continue showing him in 2014. 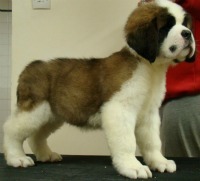 Boot is a very big boy with plenty of bone and a huge head which I am sure he will grow into as he matures. He is a lively outgoing boy, with a great personality and loves to carry things around in his mouth. 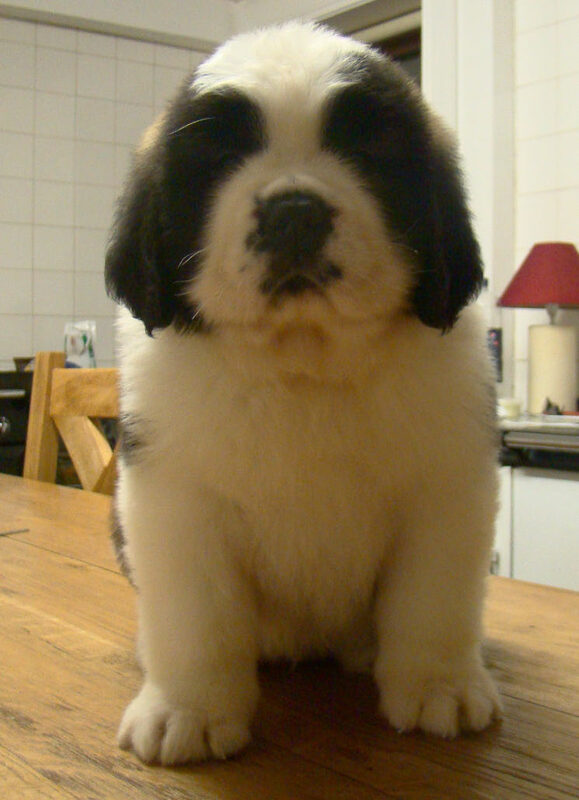 Utah is a great big lump of a boy with huge bone, chest and head. This doesn't stop or slow him down any though he is athletic and can jump on the grooming table and loves a real good wrestle and carry on.